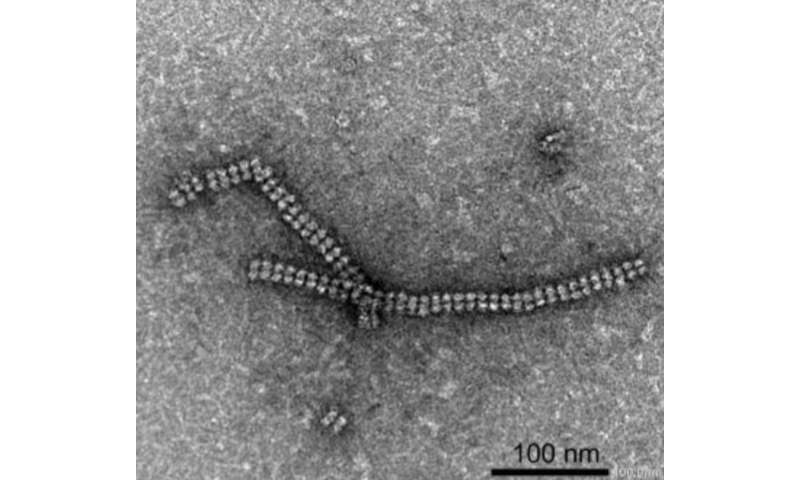 Researchers at Tokyo Institute of Technology (Tokyo Tech) have constructed protein nanotubes from tiny scaffolds made by cross-linking of engineered protein crystals. The achievement could accelerate the development of artificial enzymes, nano-sized carriers and delivery systems for a host of biomedical and biotechnological applications. 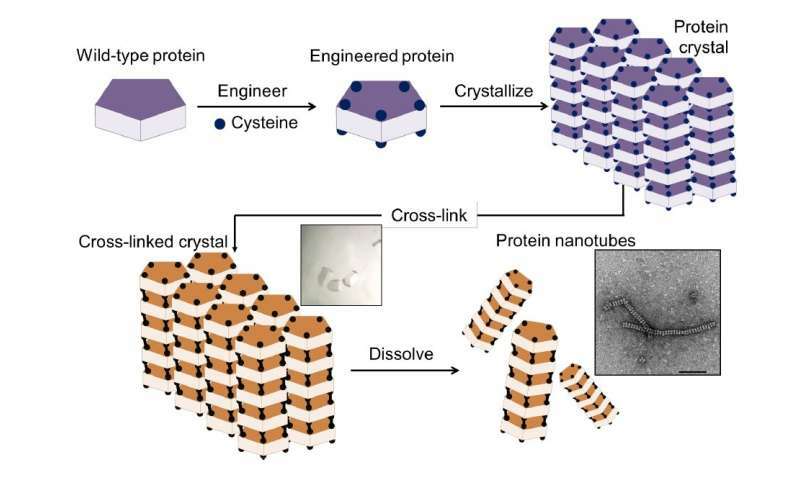 The crystal system, composed of the ordered arrangement of assembled structures, makes it easy to control precise chemical interactions of interest by cross-linking to stabilize the assembly structure—an accomplishment that cannot be achieved from cross-linking of proteins in solution.